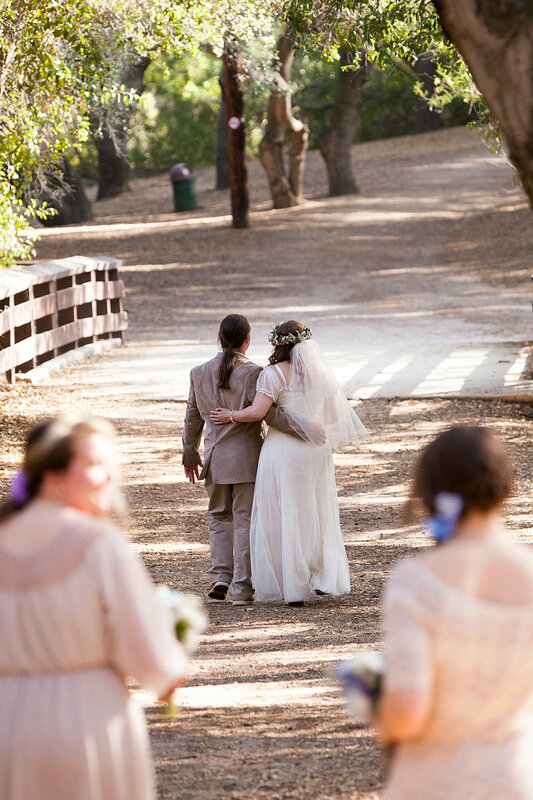 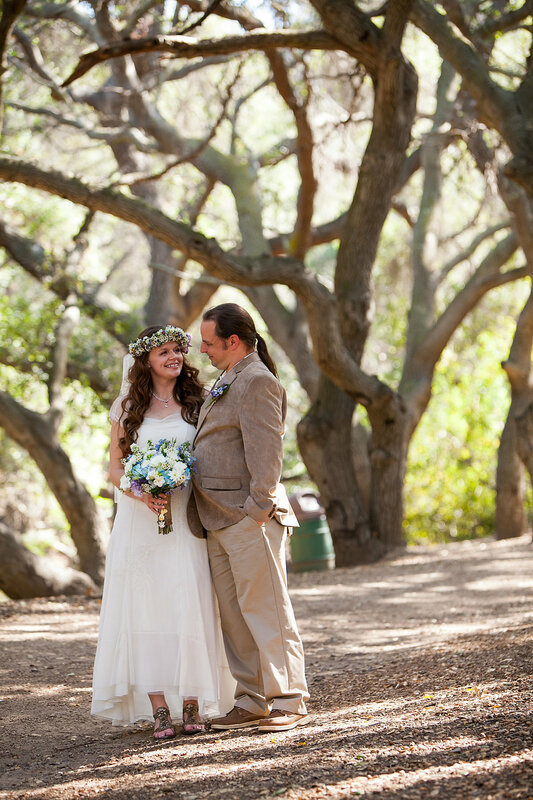 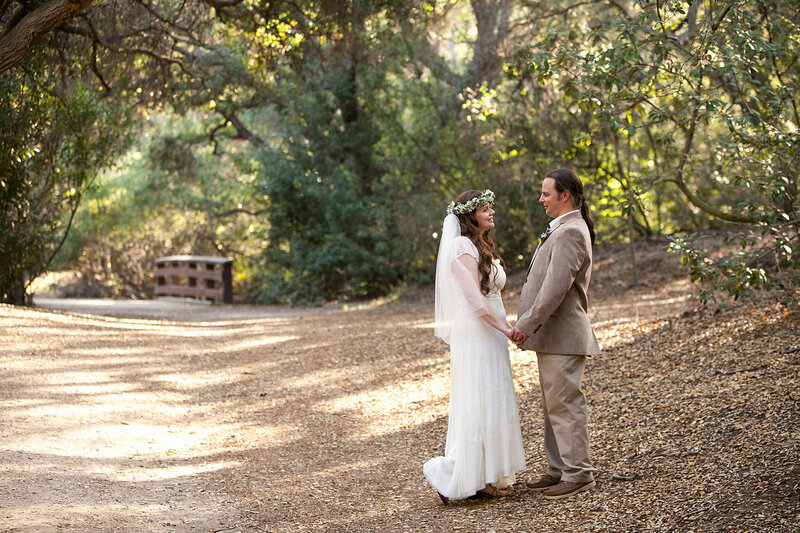 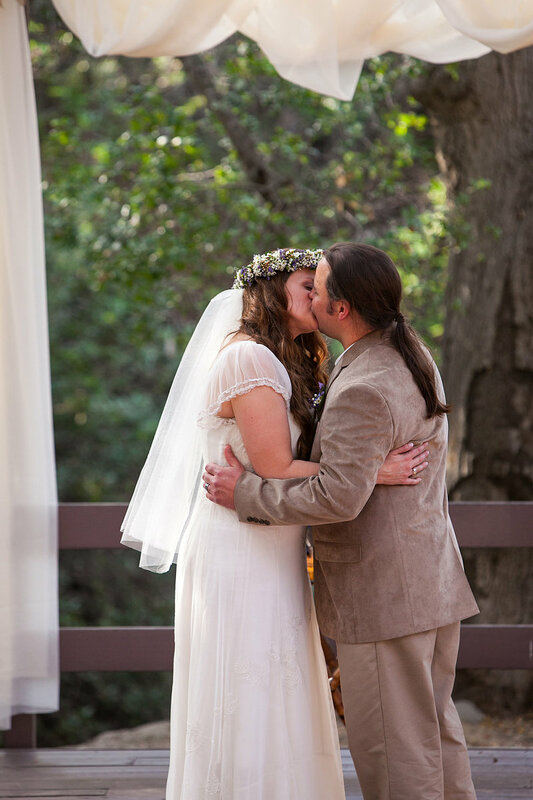 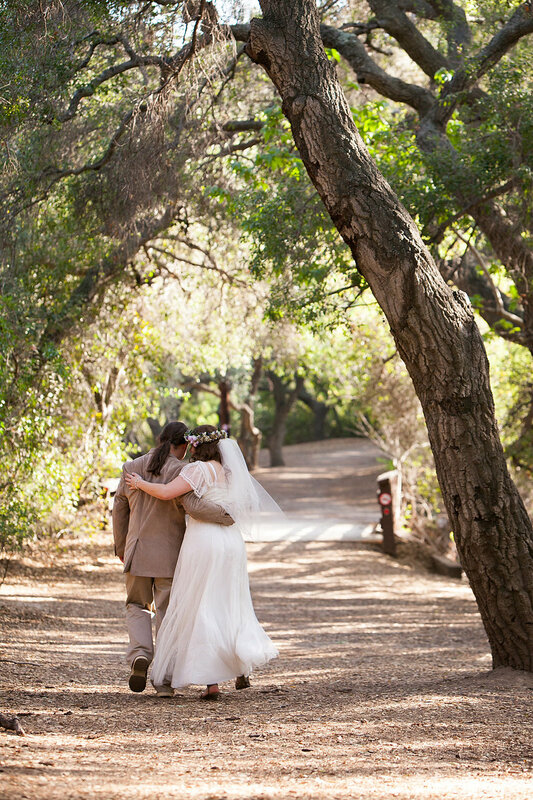 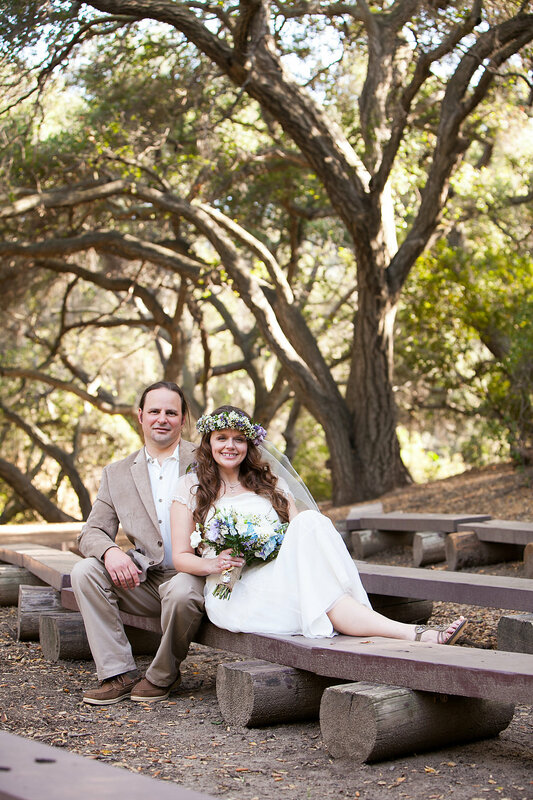 Andrea and Randy's bohemian forest wedding in Southern California was nothing short of a modern-day fairy tale. 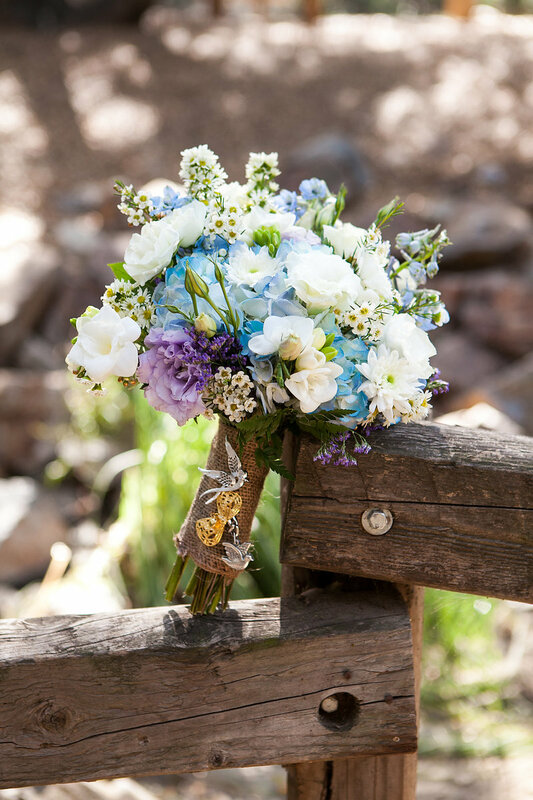 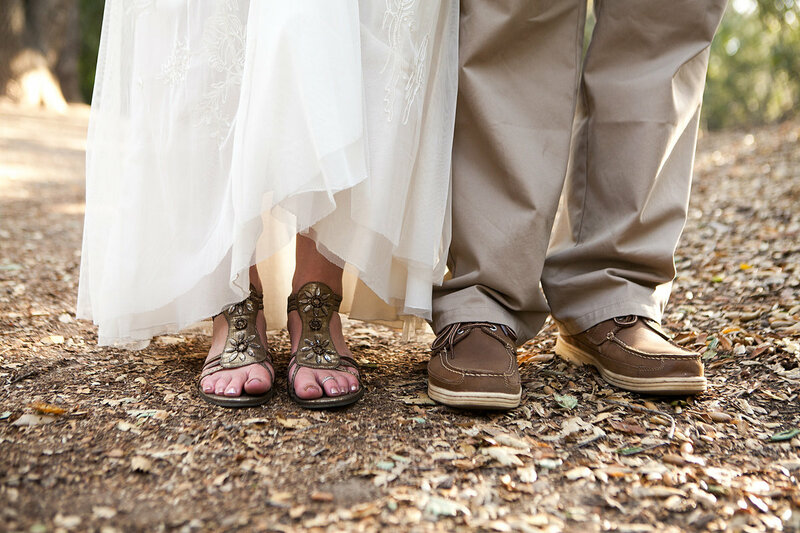 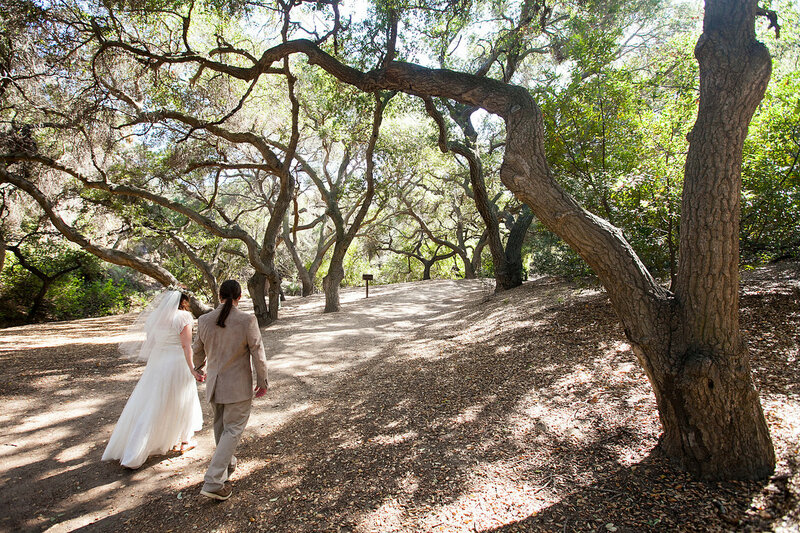 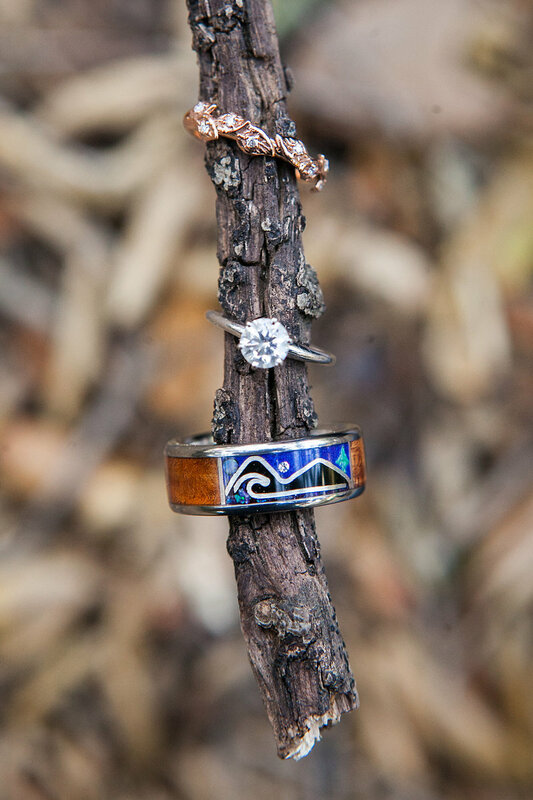 It makes us eager to photograph more forest weddings in Zion National Park, Snow Canyon, and Pine Valley. 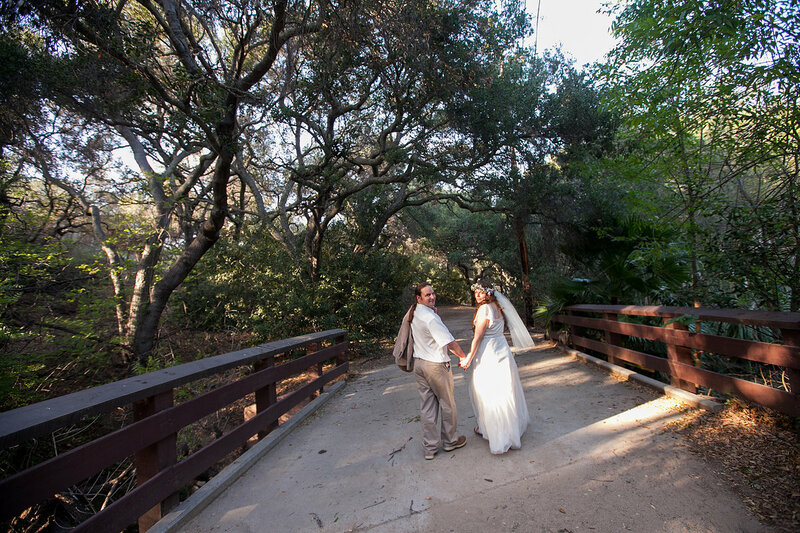 The dramatic trees at the Oak Canyon Nature Center in Anaheim Hills felt like an enchanted forest lifted straight from Lord of the Rings. 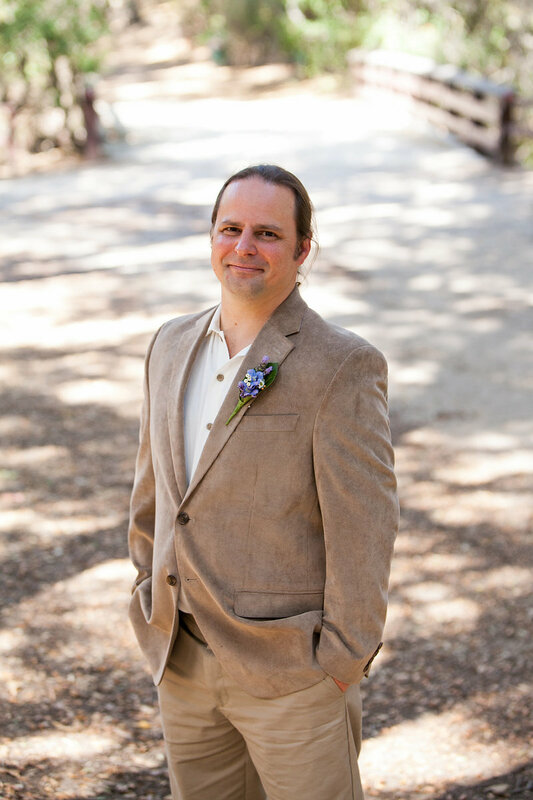 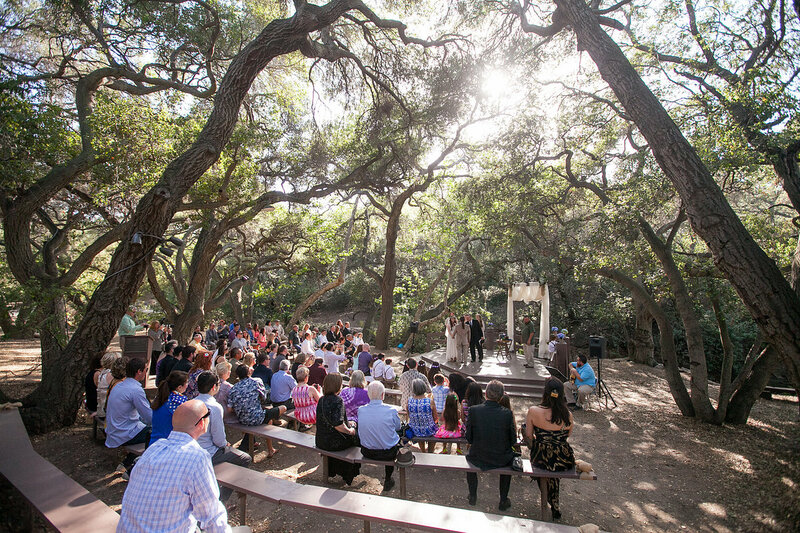 I was ready to see fairy sprites fly over the arbor and hobbits hand out ceremony programs. 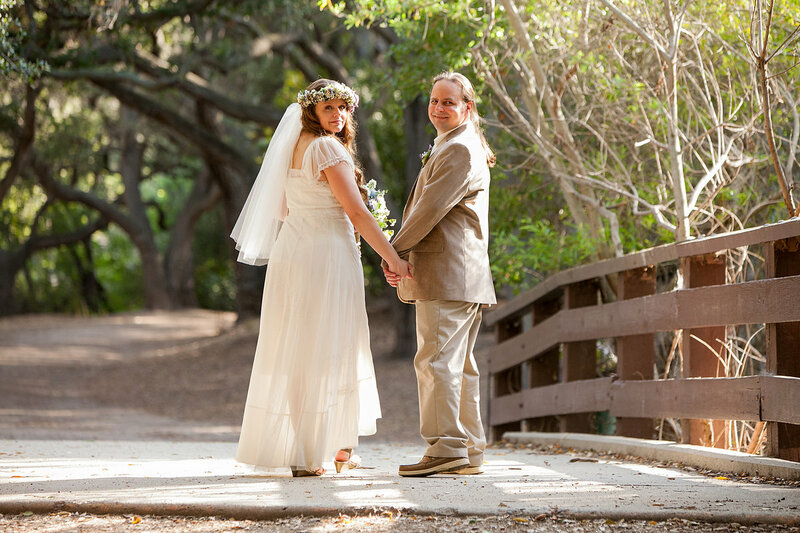 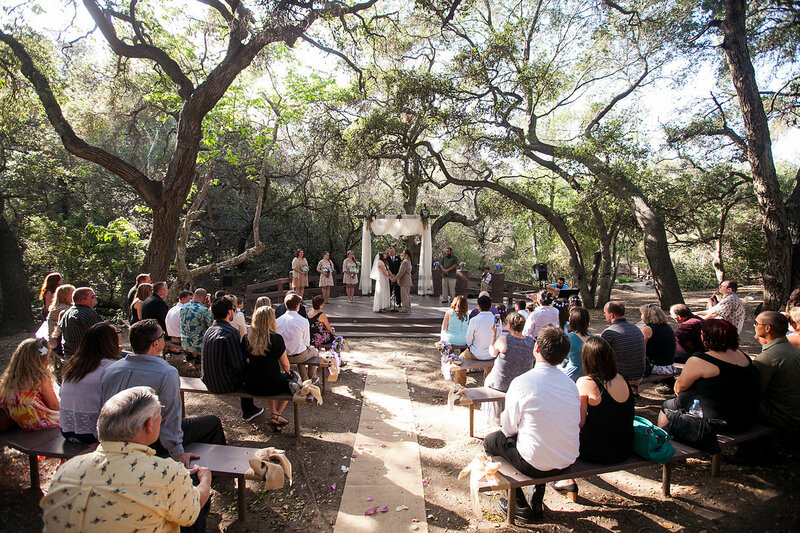 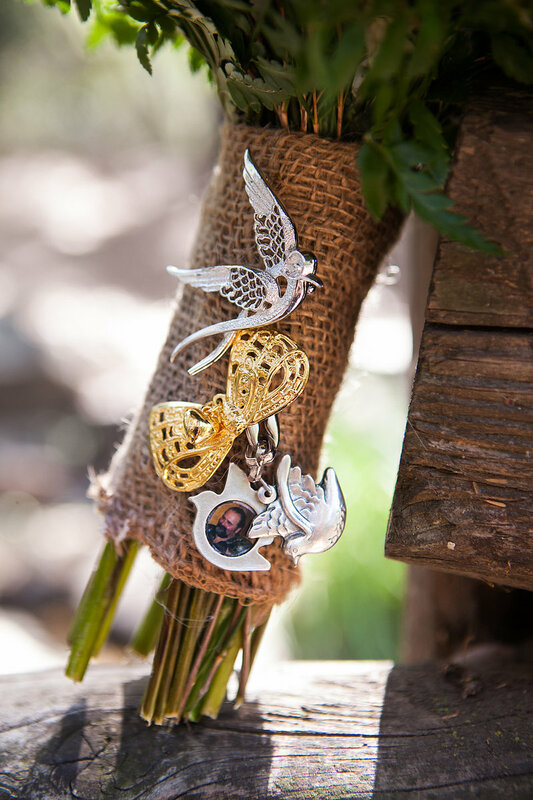 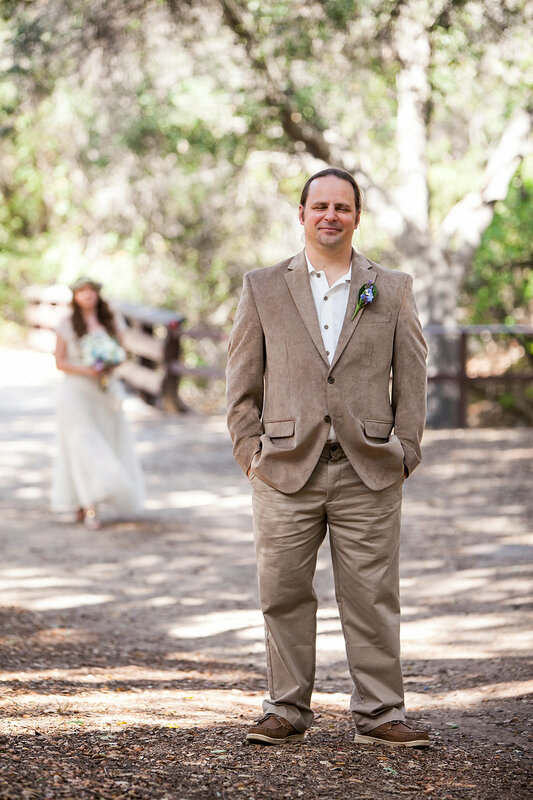 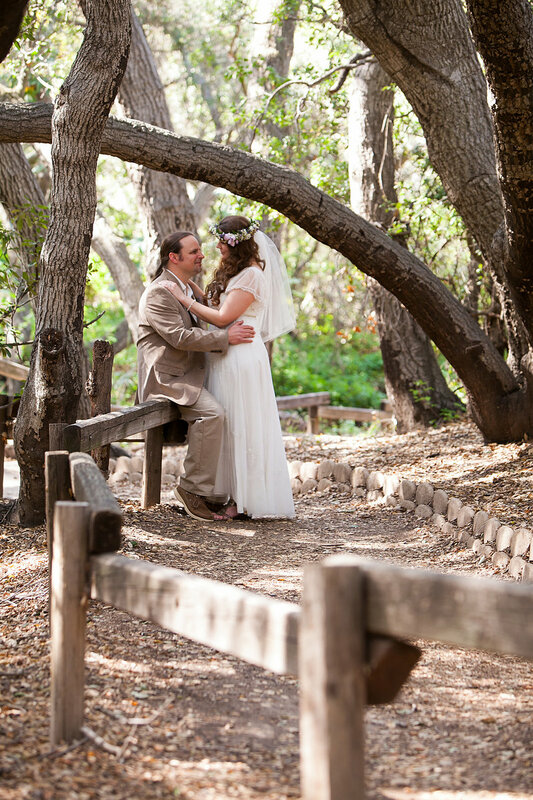 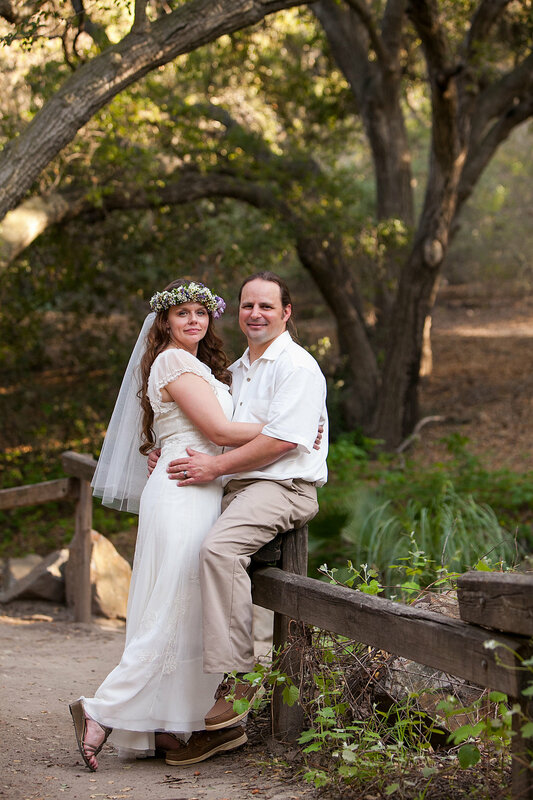 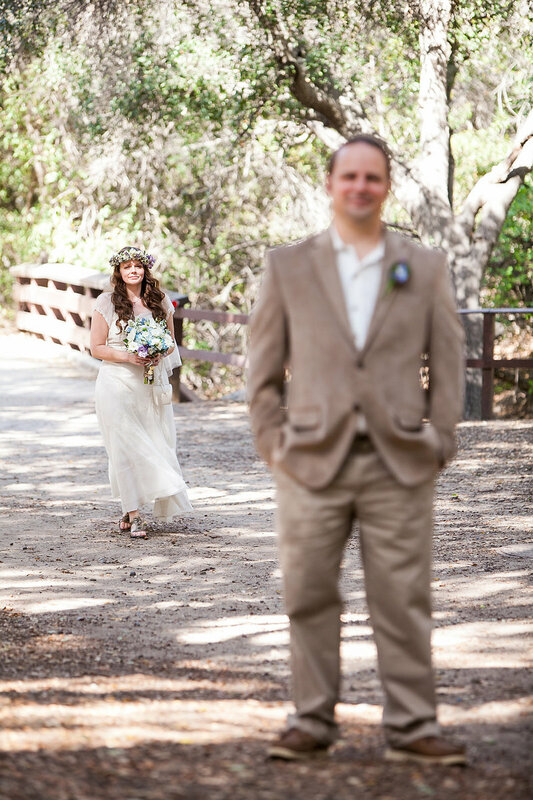 The location was perfect for Andrea and Randy’s rustic outdoor vibe. 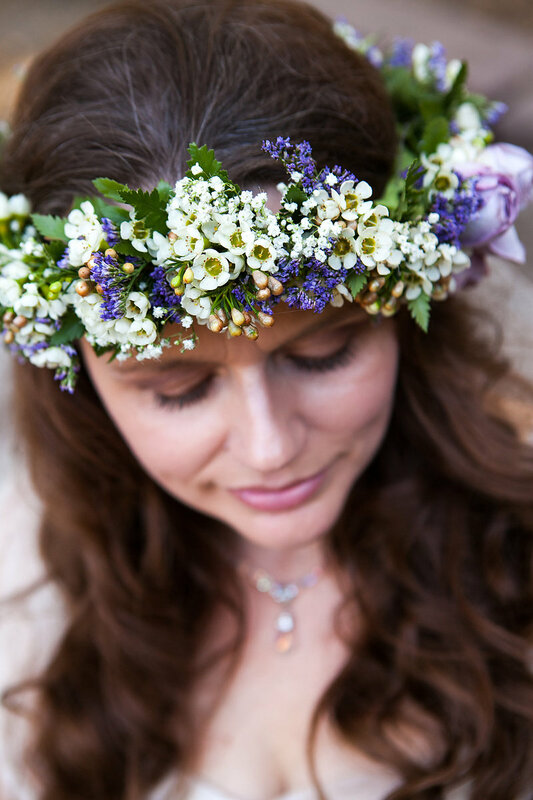 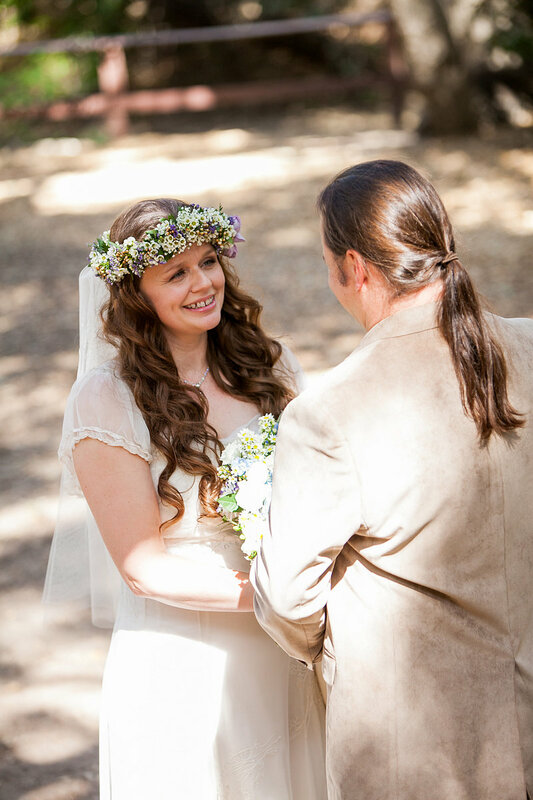 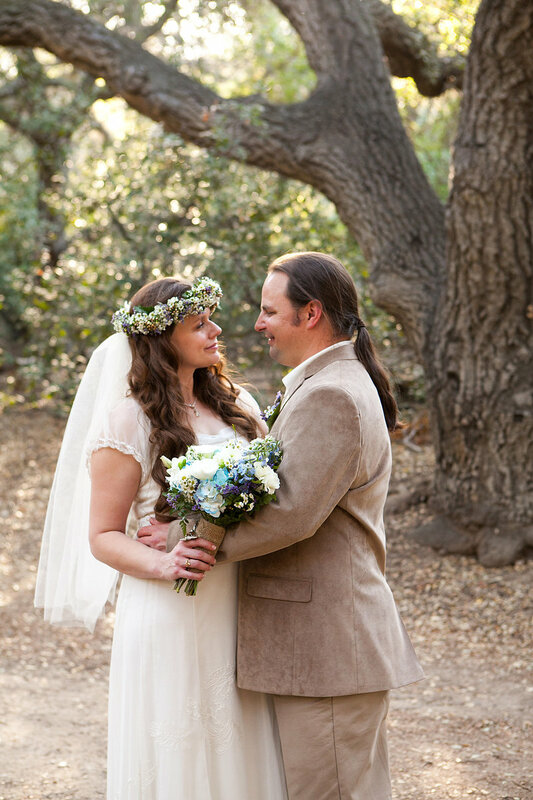 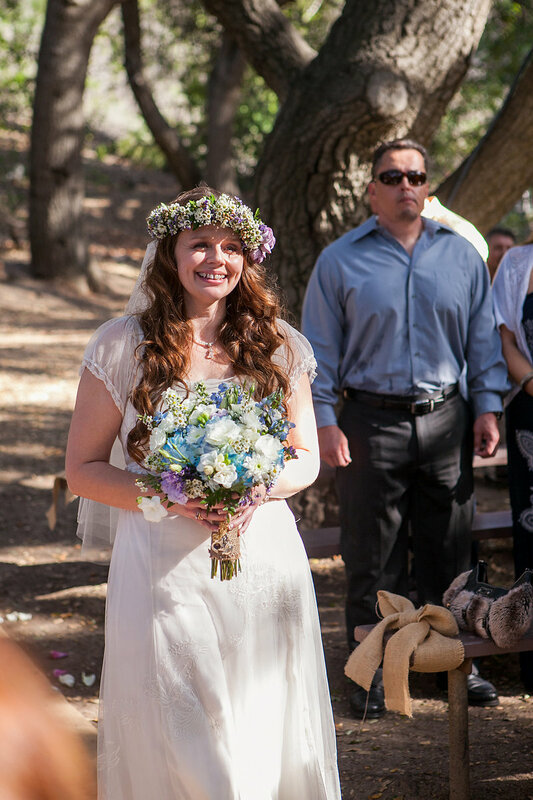 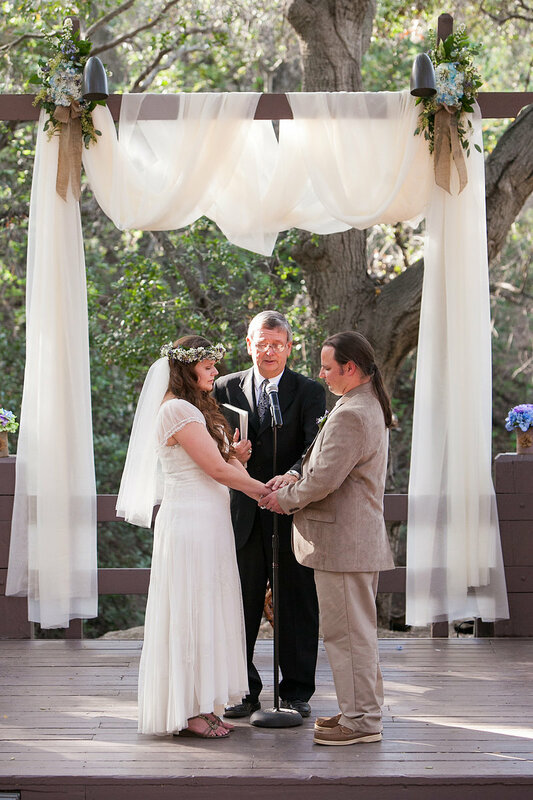 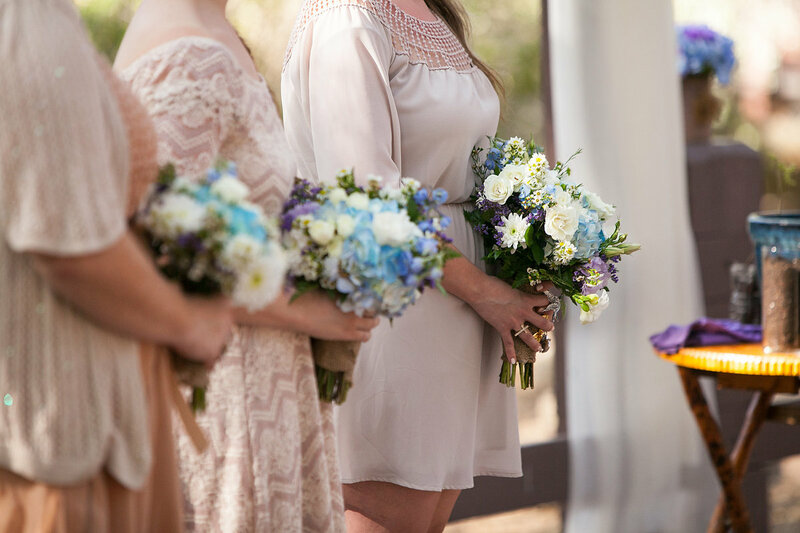 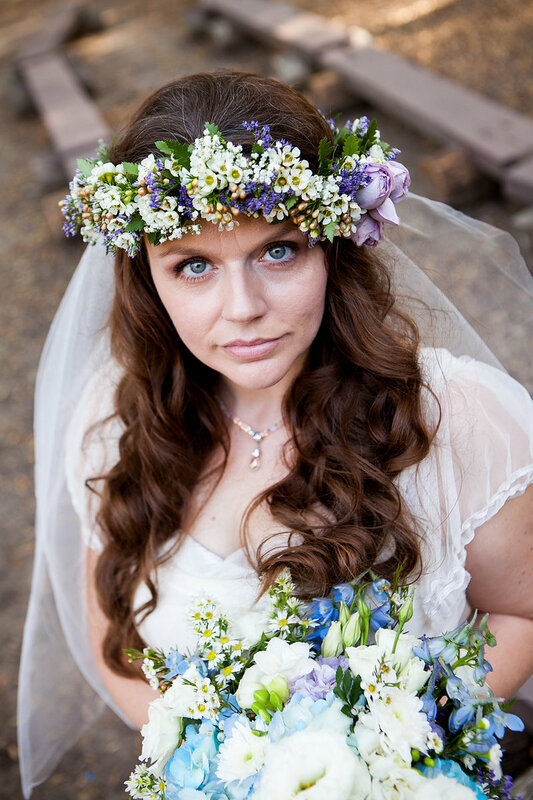 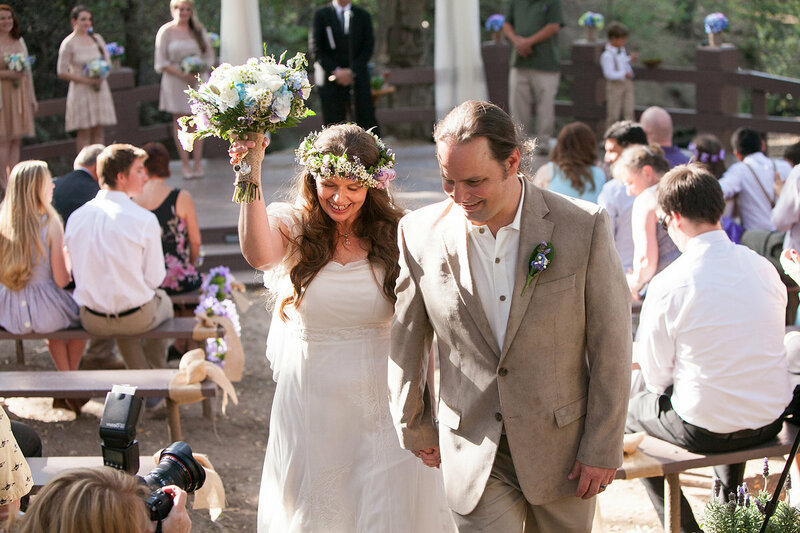 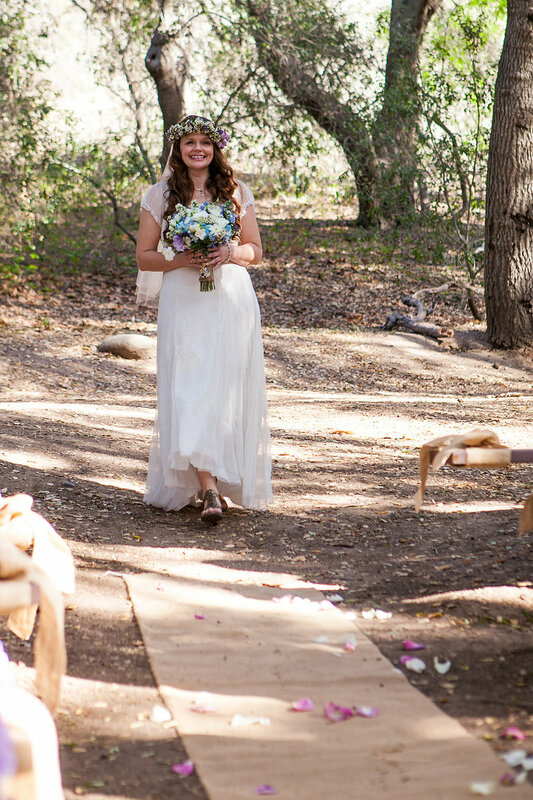 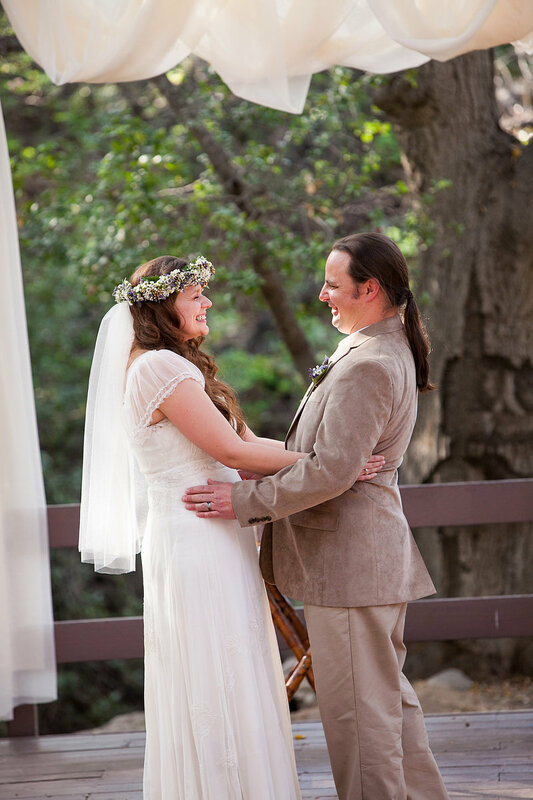 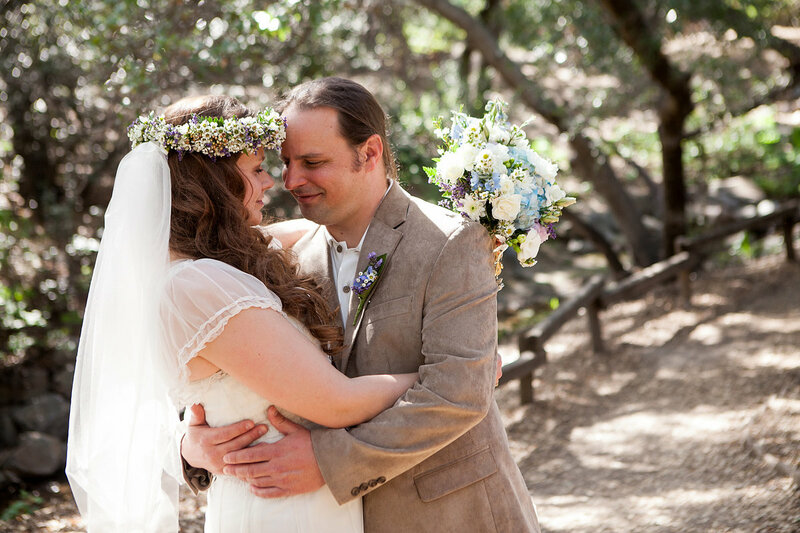 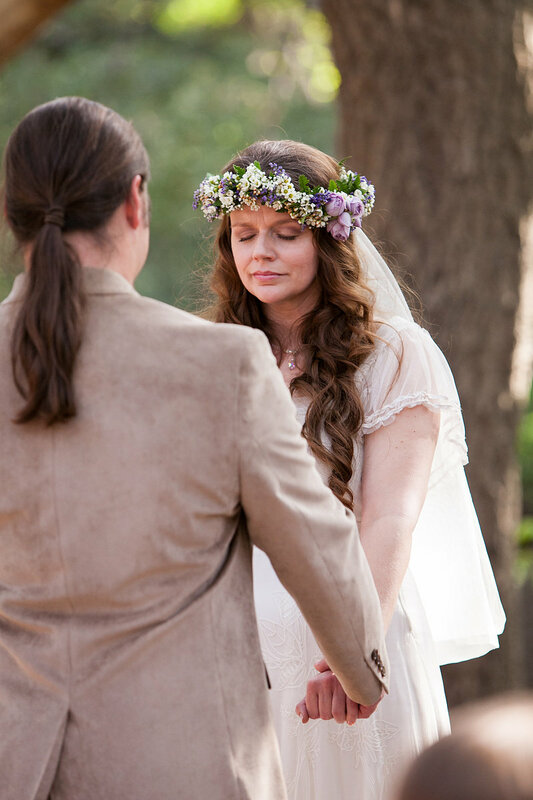 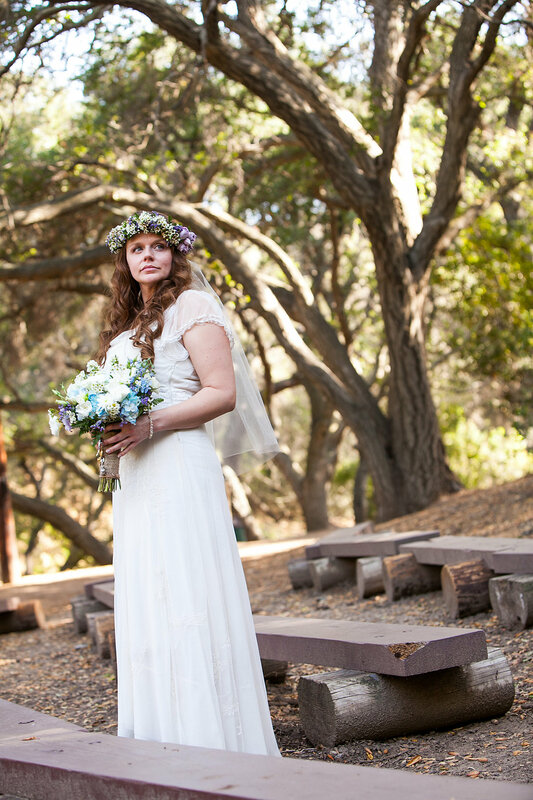 The bride wore a floral wreath in her hair and a gauzy bohemian gown. 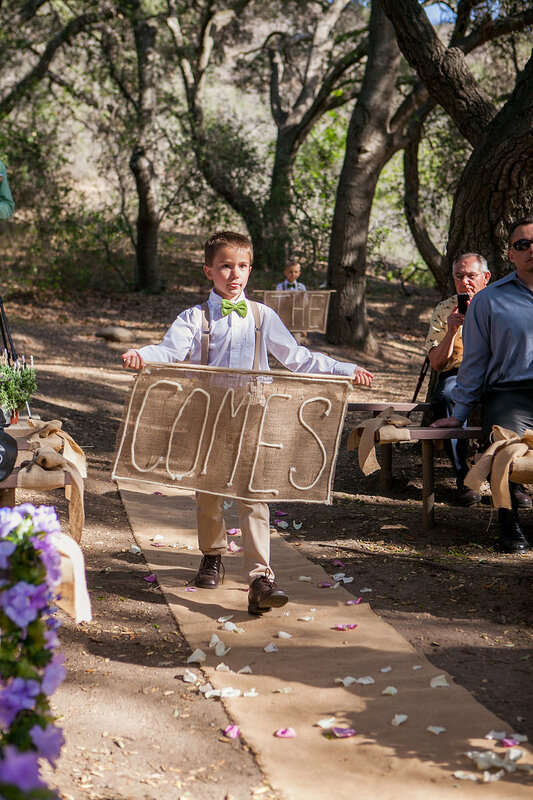 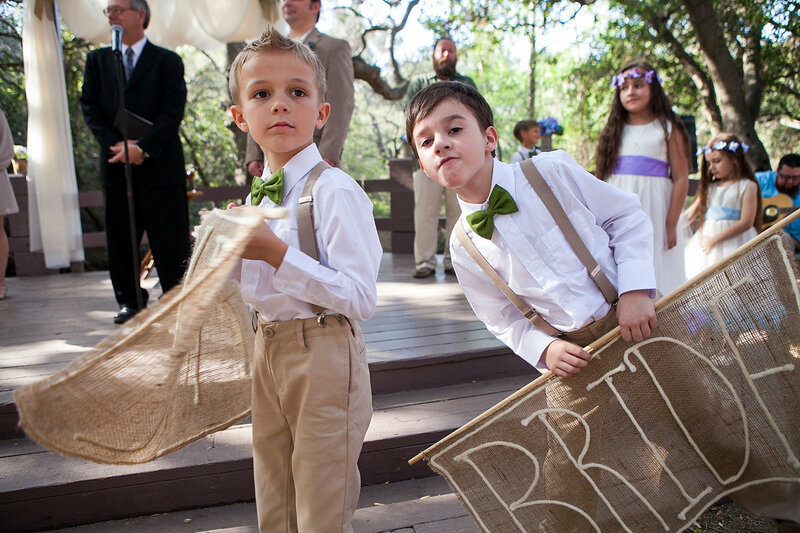 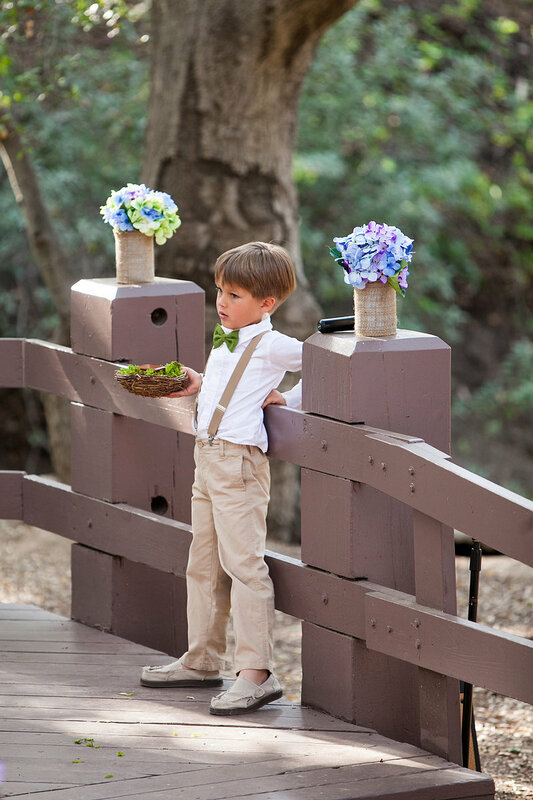 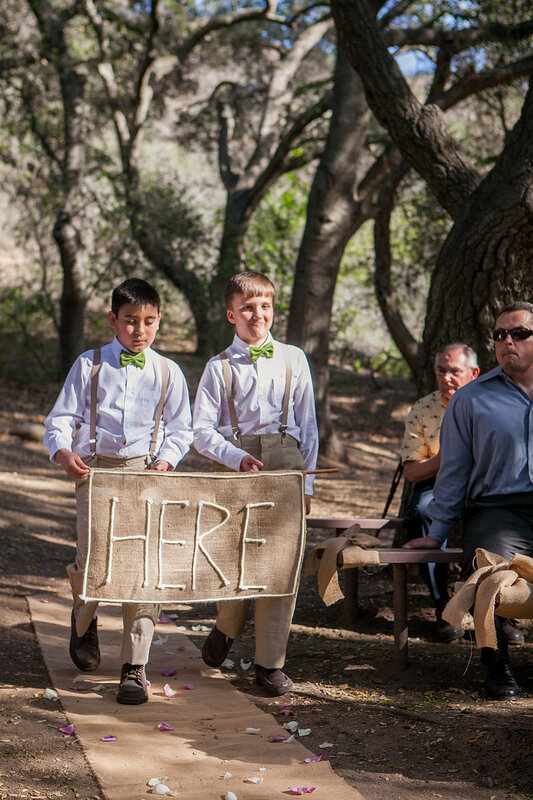 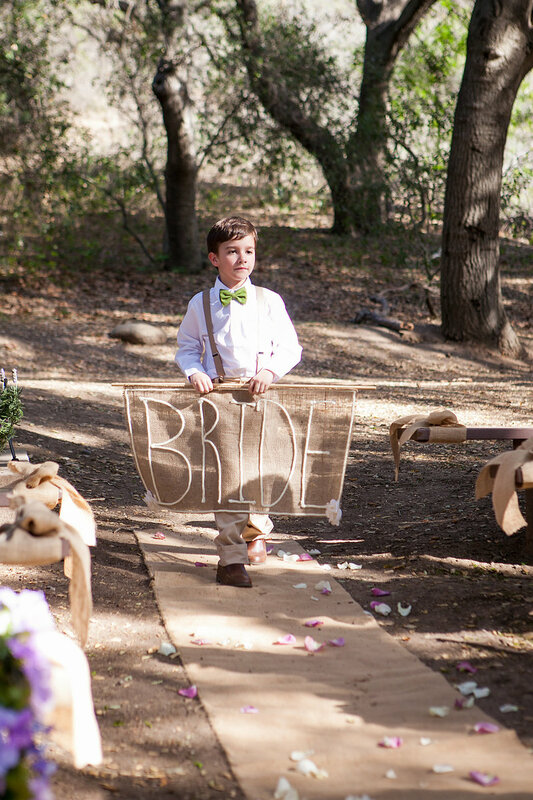 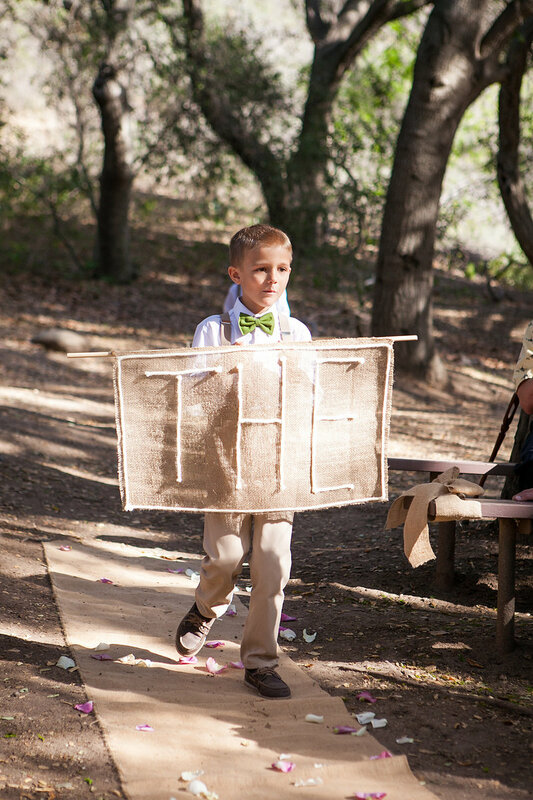 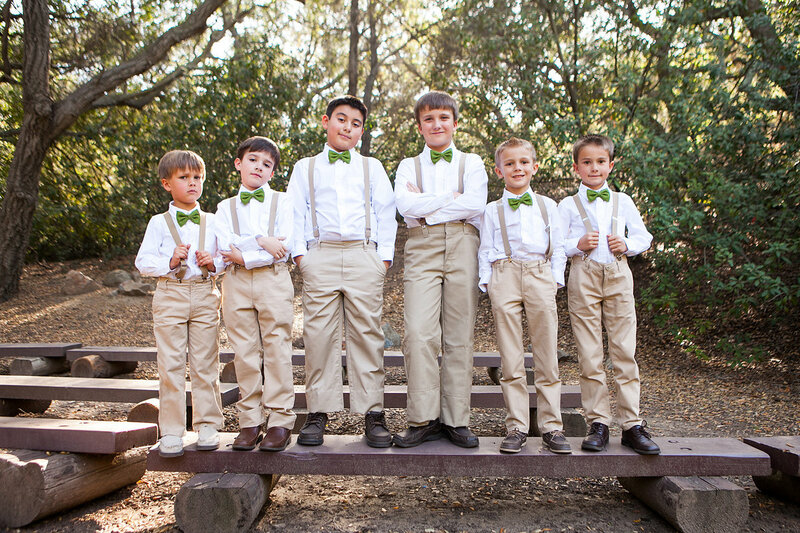 The groomsmen ... who were all children rocking green bow ties ... carried burlap "here comes the bride" signs. 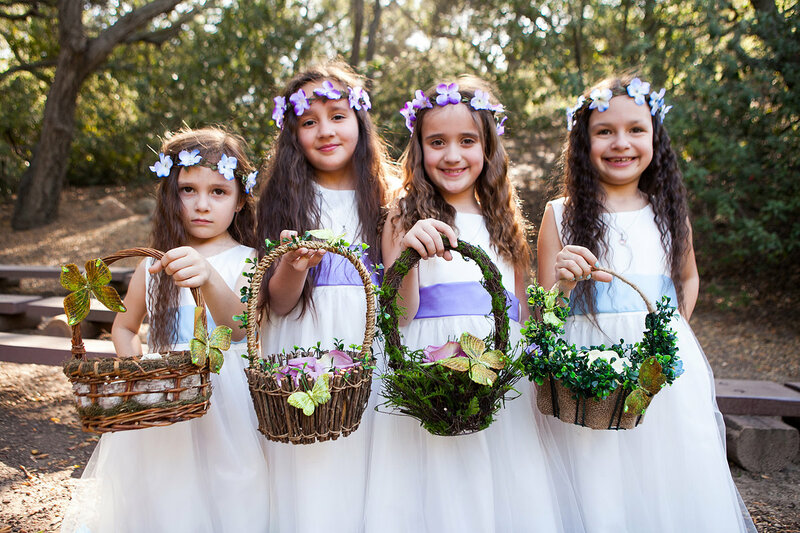 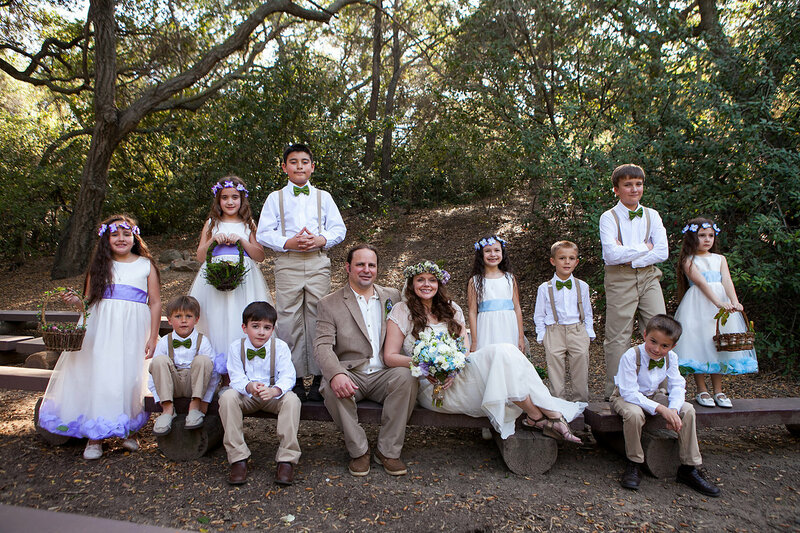 And the flower girls skipped in with baskets covered in butterflies. 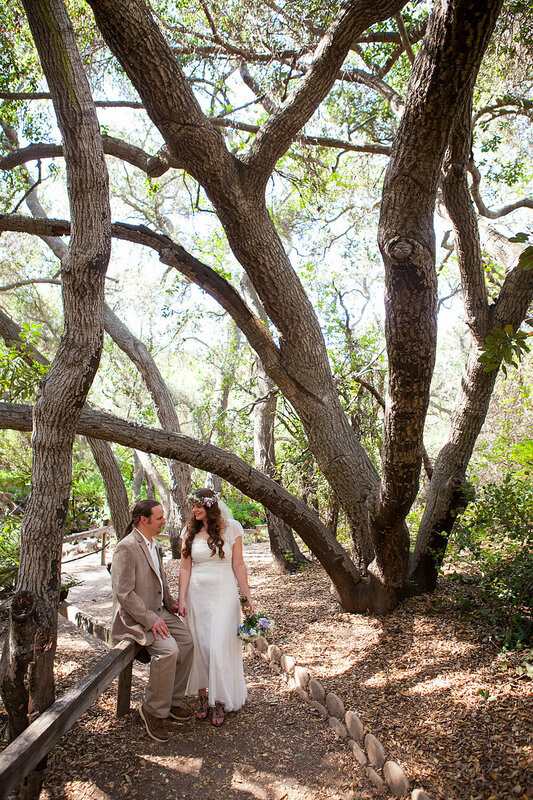 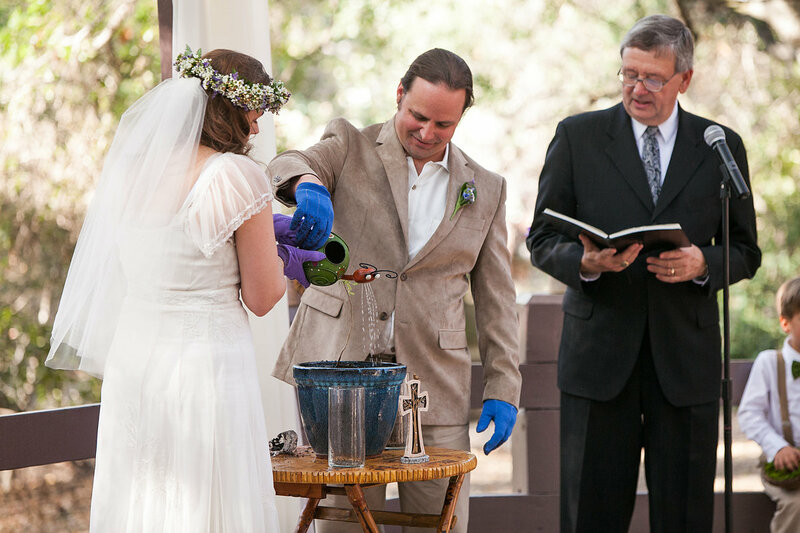 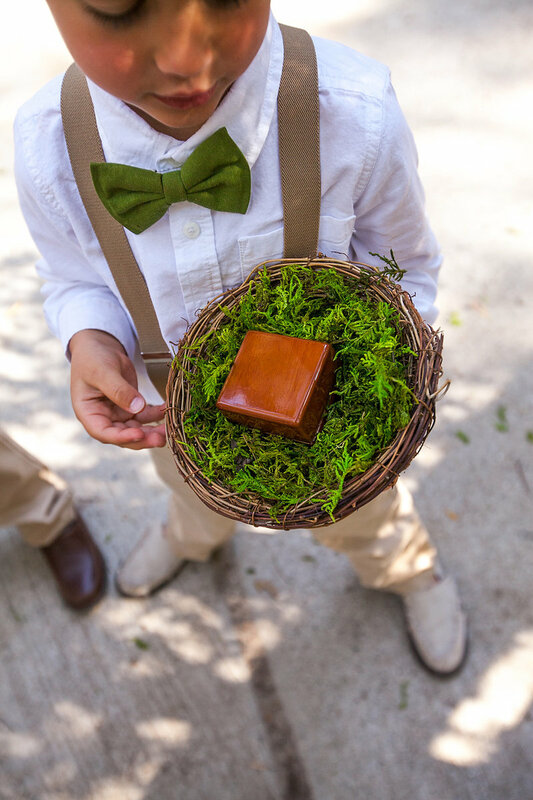 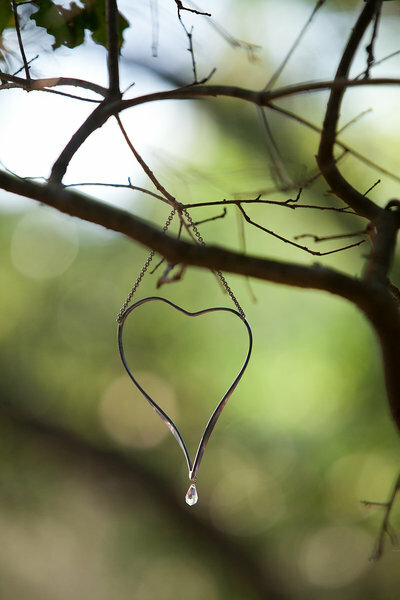 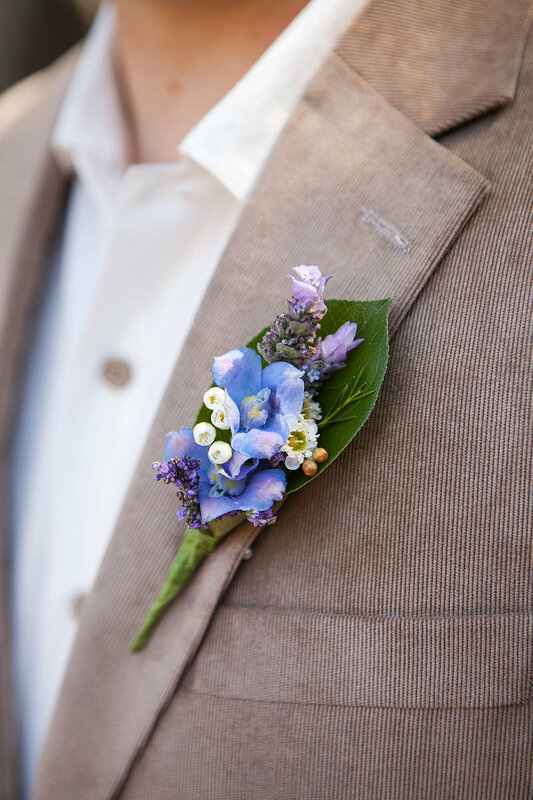 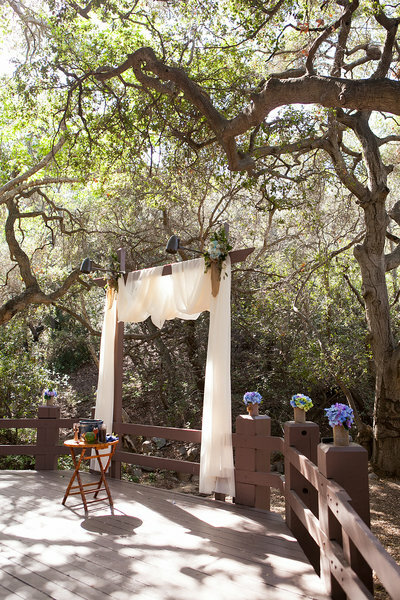 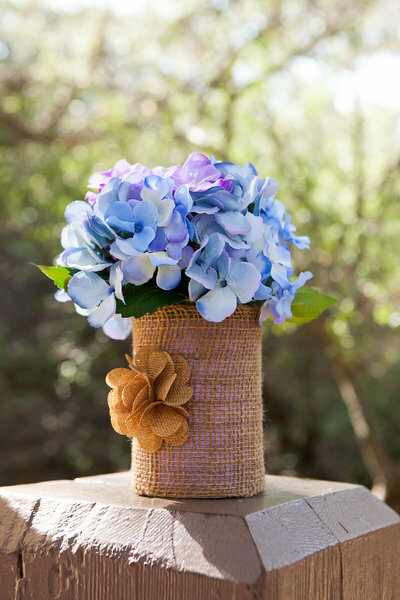 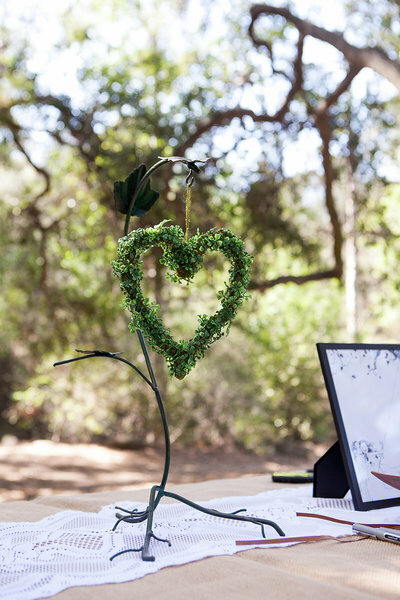 This wedding reminds us of the beauty of nature and that magic is always all around us.